Yes, really! 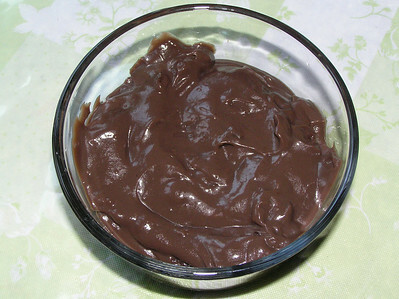 Pudding without a mix. Boxed pudding will never taste the same! :-) And, it’s so easy. The only really “hard” part is stirring it till it’s ready. In a large saucepan stir together dry ingredients. Mix in milk and cook over medium heat, stirring constantly (this is very important). Cook and stir till the mixture thickens and just comes to a boil. Remove from heat and stir in butter and flavoring. Let cool for 5-10 minutes and serve warm. Or, chill in the fridge till ready to serve. This pudding can also be used warm over ice cream to make a “hot fudge” sundae. This recipe is gluten free. If you also need to make it dairy free you might try making up some coconut milk from powder and using that in place of the milk. Almond or rice milk would probably work fine too although I don’t know about their heating qualities. 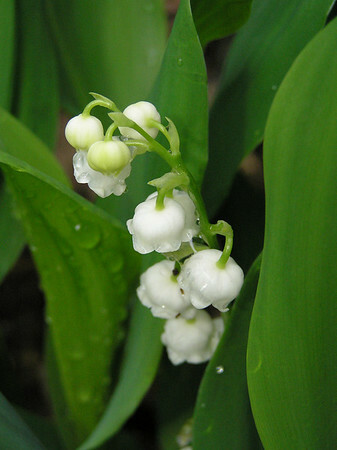 A Breakfast Rambling that grew: Royal Wedding – A Shabby Affair? “It is wonderful the way God uses His word to direct our thoughts. After the big hoopla over the Royal Wedding on April 29th I was quite disturbed about how some Christians responded to it. It made me sad, and frustrated in a way. I couldn’t understand entirely why they were so eager to participate in the media feeding frenzy, and even to go so far as to grant some approval to the wedding. Continue reading: Royal Wedding – A Shabby Affair? In reading through Paul's epistles over the last months, several things stood out in particular in the way of themes. I would challenge you to notice these three things in particular the next time you read through these books. 1. Paul's love and care for the saints (regardless of whether they deserved it or not), and how much he expected and received joy from them. It is a great blessing. You can add color to your kitchen by making some colorful aprons to wear and/or hang on the wall, or by dressing up some of your towels with ribbon or fabric. Here are some links to help. 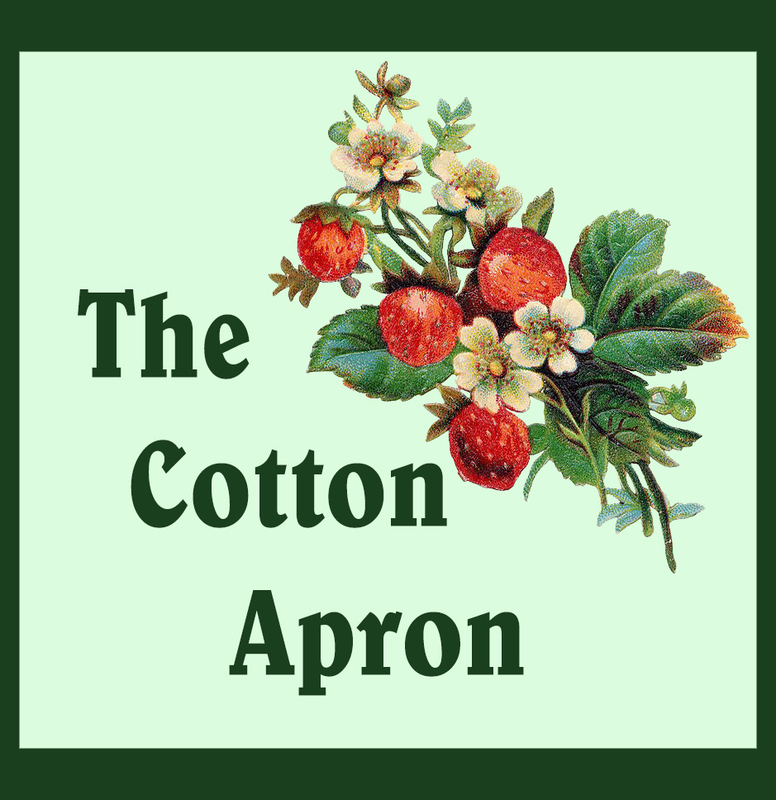 Ribbon Accented Tea Towels – Wouldn’t this look cute with some fruit themed fabric between the rows of ribbon. I might try this if I can find a good price on plain tea towels. Here are some cute oven mitts too. 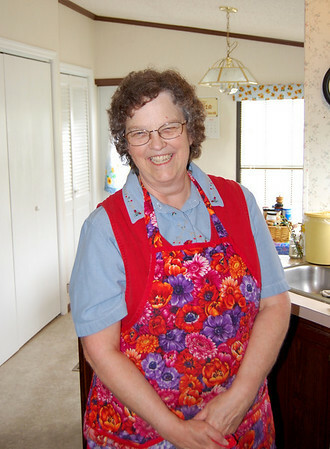 Here are some of our homemade aprons hanging in the kitchen where we lived in Arizona. :-) I can see at least four different aprons there. 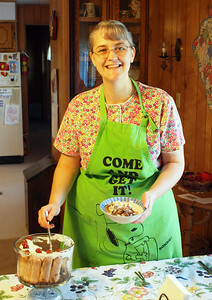 I love the homey look of aprons hanging in the kitchen, whether they are used or not. I have a friend who pinned an antique apron on a wall of her kitchen just for decoration. This is a very easy soup to make. 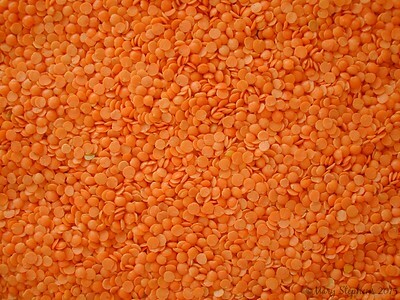 Dried, split red lentils (really they are orange) cook very fast compared to most dried beans or lentils. I think this is because they don’t have the skins on them. I don’t know what the price for them is in a regular store. We usually buy ours at an Indian store where they are called Masoor Dal. Add salt and black or red pepper to taste. Lentils are very absorbent, so use plenty of broth or water. If you are unsure of how much to use start with a little less. You can add more as you go along. Lentils will stick to the bottom of the pan (especially when reheating), so do be sure to stir it regularly. 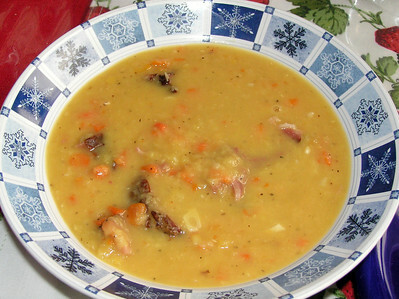 Depending on the ham and broth you use this meal could be made gluten and lactose free. If you can’t find safe ham, try some pre-cooked meat of your choice. The taste will be different, but it will still be tasty. You could add Cajun seasoning if you use another type of meat to make a very tasty soup!